May be ordered in oak (as pictured) with a light honey stain or in walnut with a dark mocha stain, both with a satin finish. 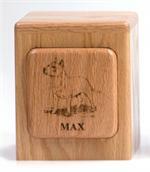 Personalization is included as a laser-etched wood panel featuring cat breed of your choice from those listed below. 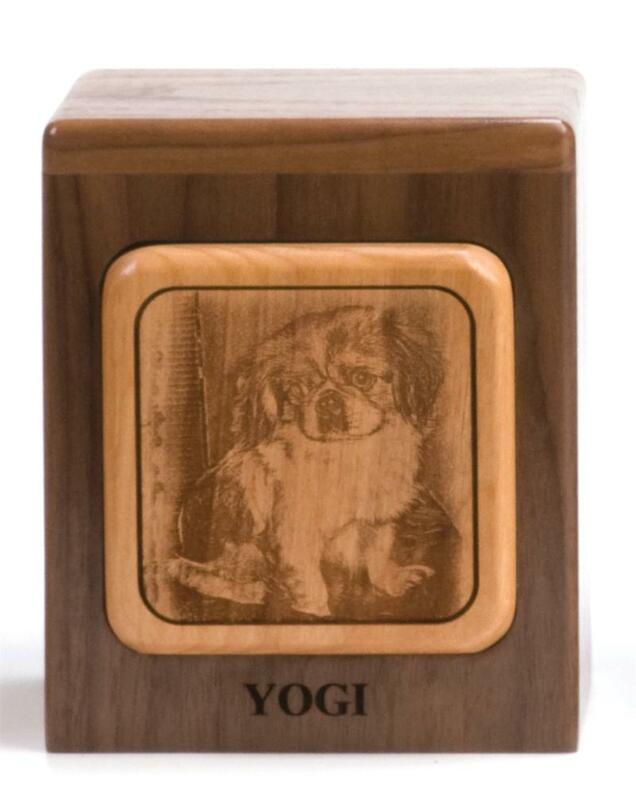 For a listing of dog breeds, please refer to the Imperial Urn in the Extra Large Urn section of our website. 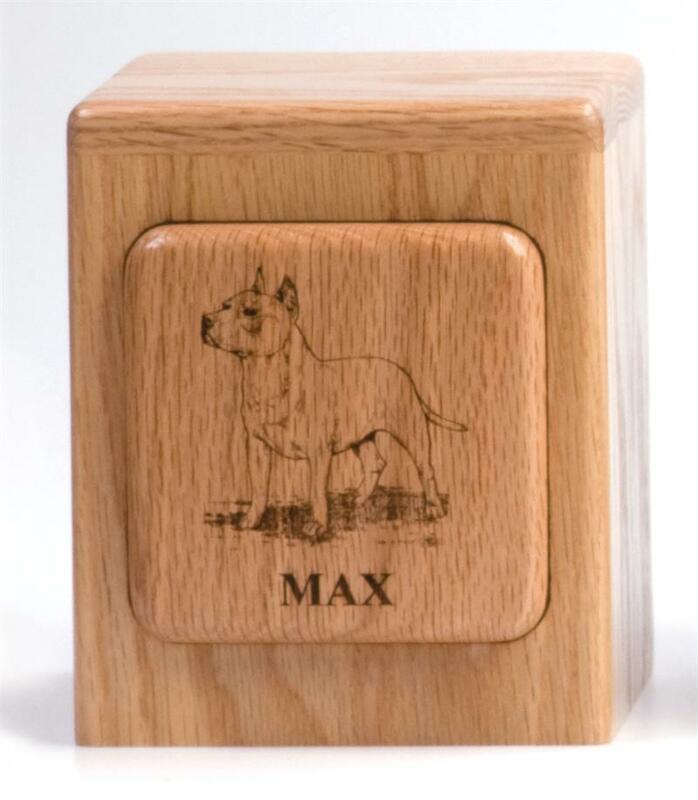 Your pet's first name will be etched in Times New Roman Bold or Times New Roman Italic in either all UPPER case or upper & lower case. Closure: Bottom-opening panel attaches with screws. 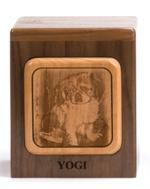 5" Sq. x 5.75"H 58 cu. in.